First and foremost, the personal attention from the core staff is tantamount to none. If RTV were a hotel, it would be featured in every issue of Hotel Business Magazine in the foreseeable future for its exceptional service. I was surprised and very pleased by the continued effort of RTV to make working with them hassle free. The prompt email responses and immediate problem solving phone calls almost makes having an issue worth it just to get it resolved. I do enjoy being associated with RTV and I would/do recommend their services to anyone. What is a virtual tour reporting system? The Exposure Elements virtual tour reporting system is an invaluable weekly reporting tool for real estate agents and businesses that gauges the activity of the property virtual tour. It provides several benefits that position the reporting system as a must have tool when selling or sharing a property with the public as it reports on a) the number of visits to the virtual tour by day during the previous week, b) the number of visits to the virtual tour by week for the previous weeks of the tour up to 10 weeks, c) where the visitors are coming from, and d) a summary of the most viewed images of the virtual tour. The virtual tour report is packaged as a colorful, graphical page that is emailed from Exposure Elements to you and your clients each Monday. The report includes all of your information and even space for a logo or image should you want to share it with a business partner or listing client. What does a virtual tour reporting system do and how does it add value to a business? As a virtual tour business owner with a web presence, it is very important to be able to track marketing effort delivery to obtain the best results. With your Exposure Elements weekly traffic report you can now do that easier than ever before. How many marketing tools come with this kind of results validation? If you have business partners that you are featuring in the report we can even send the report off to your partner on your behalf with your logo on the report. This is the way that partners want to be treated. How does it add value to a Realtor? These statistics can also provide the Realtor with valuable insights into how listings are being viewed by visitors and what marketing efforts are working the best to bring qualified buyers to your clients. The virtual tour hit report shows the client, in clear data, when it is time to reduce the price, if necessary, without having to be the direct bearer of bad news. With this information in the client’s hand the realtor can focus on the strategy of the sale rather than how to present difficult news to the client! In the end, the Realtor also sees statistical insights into buyer behavior that he can’t get anywhere else. When you are armed with this kind of data you have compelling and assured information that you can share on listing presentations which surely means more listing wins. How does it add value to a home seller? Selling agent Realtors are constantly challenged with proving value to their listing clients. The Exposure Elements virtual tour reporting system is the ideal tool to build the confidence of their clients. Regular reports give the seller the weekly assurance that their listing has interest and activity. With diligent cross marketing efforts to all the marketing programs driven by the Realtor these reports can show the kind of property interest that will keep your client emotionally involved with you through the entire sales process. Weekly reports ensure that your client is involved, informed and up to date! Simply put, this kind of reporting system is extremely valuable to all parties that are involved with the production of a virtual tour. With a nominal cost and weekly delivery everyone involved with the virtual tour is kept informed. Success and interest can be continuously measured providing a barometer of interest for the whole marketing program associated with the virtual tour. Exposure Elements business virtual tours include the weekly hit report and Realtors can get this service for just $10 for the life of the listing. Exposure Elements is an interactive internet property and business marketing specialist for Northern California. We are the leading provider of Greater Silicon Valley virtual tours and photography services featuring advanced imaging systems to assure your viewers of an engaging and interactive virtual tour experience. We are the exclusive Silicon Valley virtual tour provider for Real Tour Vision, the world’s largest virtual tour provider and the innovator behind our services. Visit us a www.Exposure Elements.com or call us at 408-431-0461 to schedule a business virtual tour or real estate virtual tour. 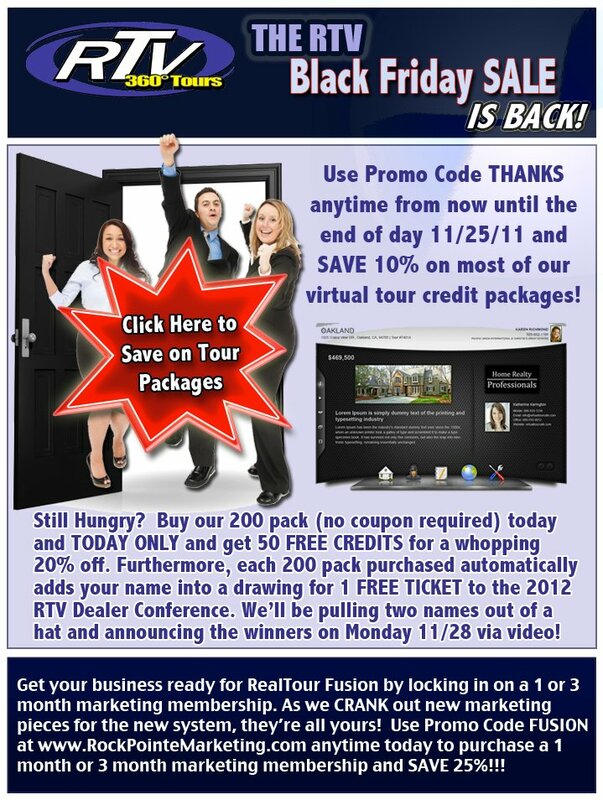 At this time of year the Team RTV would like to express our thanks to our amazing network of virtual tour providers. We’re so happy to work with such excellent people on a daily basis. It’s a wonderful opportunity to establish personal and business relationships. 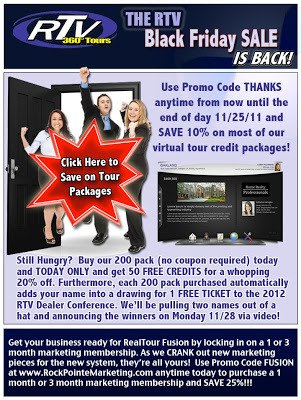 We love that you’re helping us spread the good word about RTV HD Virtual Tours. We can’t even begin to tell you how excited we are to move forward into 2012 with a brand new system stuffed full of all the great enhancements that you’ve all been asking for. We hope at this time of year that you take some time to reflect on all the good things in your life and that you are as excited as we are to continue in this great enterprise and grow the virtual tour industry. Happy Thanksgiving from Team Real Tour Vision. Enjoy the fun video!! Virtual Tour Software & One Heck of an Amazing Team! We’re very excited to now have over 100 royalty free music clips for you to choose from to enhance your V-Tours and V-Slides. Today our programming team took the audio module (which was already live on the V-Slide system) live on our V-Tour system. 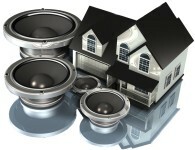 This new system allows us to continue to grow our audio library for our virtual tour providers. As always our providers are able to post their own .mp3 audio files to any V-Tour or V-Slide for further customization. To celebrate this new technology please keep your eyes out this coming FRIDAY (Black Friday) for a special one day sales event.